Animals deserve to live on this earth as much as we human beings do. We call dogs our best friends but most of us fail to do anything good for them. Dogs are abused in different ways in different countries. In some countries, they are grown just so that they can be eaten up. They are sold to the butchers and are killed in merciless manners. There are many places where dog meat is a delicacy and many groups are demanding that dog meat is banned. There are other places where the owner of the dogs is ignorant of the dog's needs and keep the dog just for torturing. The dogs are not fed; short chains are tied tightly around the neck and so on. The dogs are beaten mercilessly and left to die. Sometimes the owners don't allow the dog to die but just keep it so that he/she can torture it more. There are puppy mills where dogs are kept only for giving birth to puppies and then these puppies are sold. 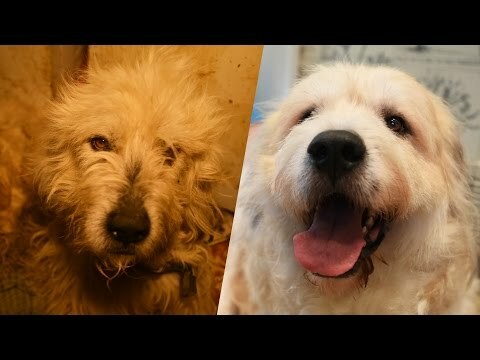 Check out this amazing video of the Humane Society raiding a home puppy mill and found a dog on the floor of a dark and dingy room. The poor thing couldn’t walk, so they carried him to receive the care he needed. But the best part is when his rescuer sees him for the first time in his new home. These puppy mills make the female dogs give birth continuously until they are unable to produce. There are sports played with dogs like dogfights where the dogs eventually kill each other. Human beings force them to and then make money from them. These are all dog abuse facts. DoglopedixAnimals deserve to live on this earth as much as we human beings do. We call dogs our best friends but most of us fail to do anything good for them. Dogs are abused in different ways in different countries. In some countries, they are grown just so that they can be eaten up. They are sold to the butchers and are killed in merciless manners.